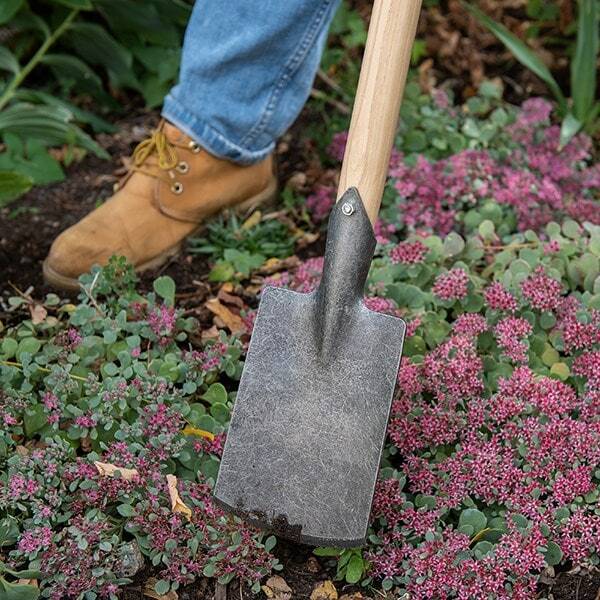 Dig in tighter spaces like flower beds, veg rows and borders without having to kneel or sit with this De Wit long-handled spade. 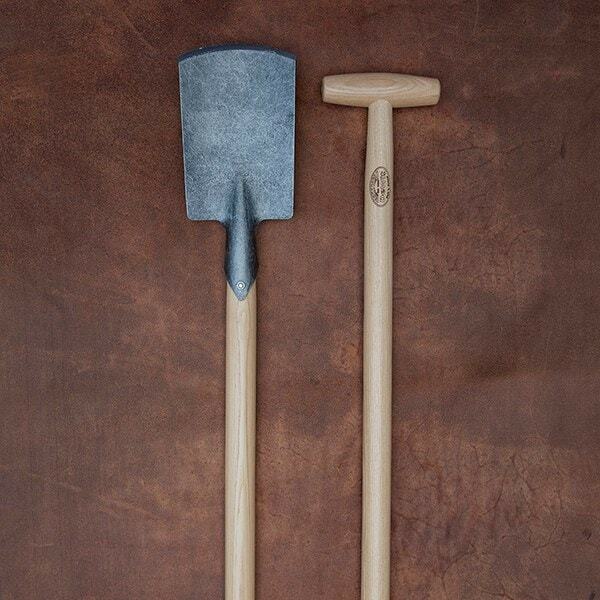 The lightweight head is hand-forged from tough carbon steel with a sharp rounded edge for superior soil penetration. Its smaller size allows you to effortlessly plant perennials in smaller areas, while the long ash T-handle allows you to work comfortably while standing up. As the handle will naturally shrink over time, a locking nut fixes the head in place - letting you simply re-tighten it to keep the spade solid and strong. 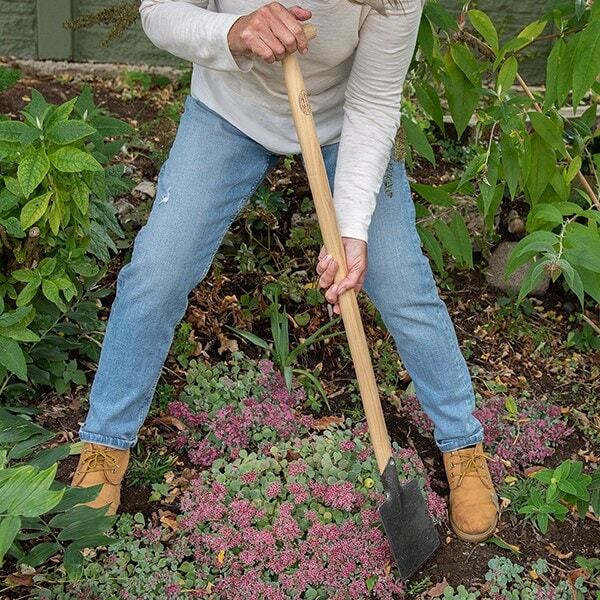 Easy to carry around the garden, the spade is a great lightweight alternative to a traditional garden spade for working in smaller areas.